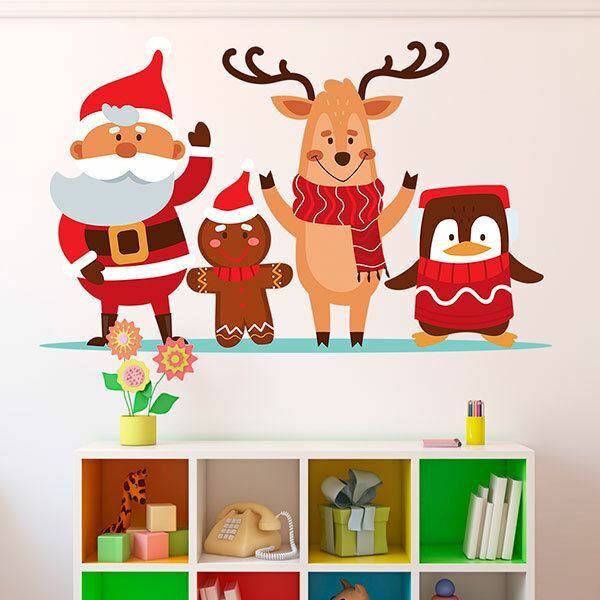 Kids wall sticker Santa Claus and his friends. Funny Christmas vinyl in which Santa Claus appears dancing with his friends. 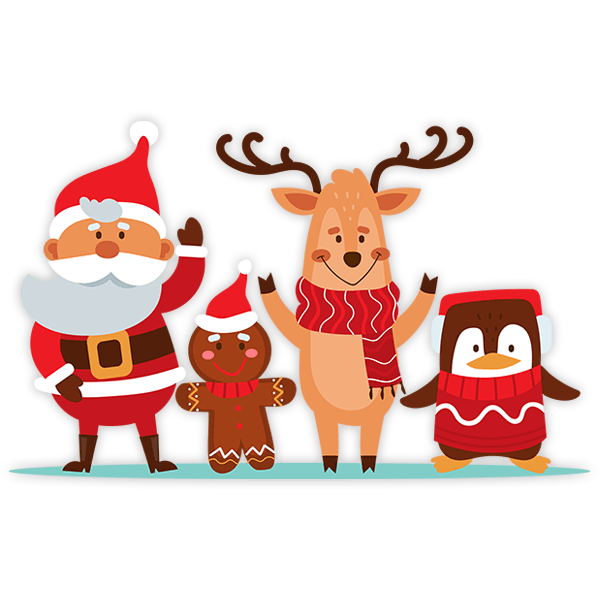 The mythical Santa Claus dance, this time together with a gingerbread doll, a reindeer and a penguin, ideal to flip to the rhythm of "Hey! hey! hey!". 15.75 x 9.45 in. 19.69 x 11.81 in. 23.62 x 14.57 in. 27.56 x 16.93 in. 31.50 x 19.29 in. 35.43 x 21.65 in. 39.37 x 24.02 in. 43.31 x 26.38 in. 47.24 x 29.13 in. 51.18 x 31.50 in.